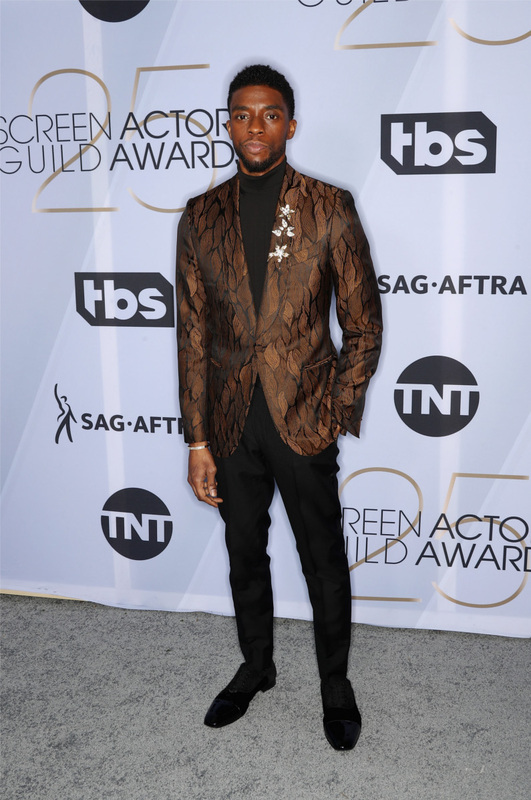 Chadwick Boseman wears the iconic Greggo black shoe on his winning night. Gemma Chan wears the beautiful Iriza shoes. Bradley Cooper wears Cousin Greg black shoes. Yara Shahidi wears the iconic So Kate shoes. Chris Pine wears the Officialito black shoes.